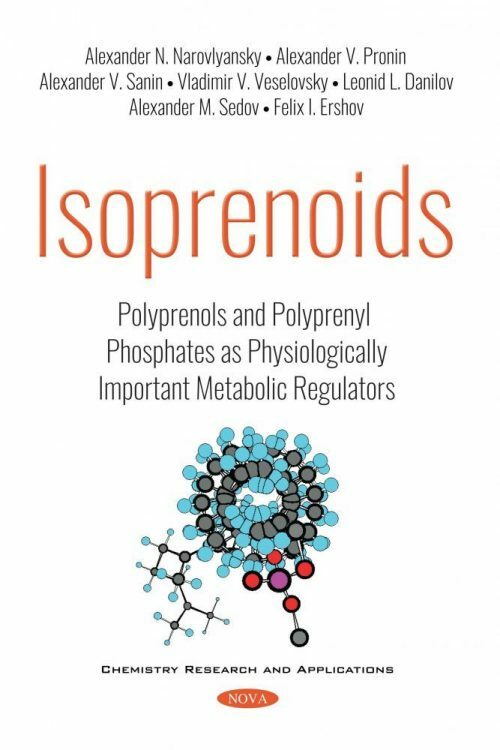 This book defines and classifies polyisoprenoids, describes the characteristics of polyprenols, dolichols and their phosphates, and the metabolism of polyprenols and their derivatives, discusses the biological role of polyprenols, and analyzes the function of polyprenols in the regulation of cholesterol synthesis and the role of phytosterols in the suppression of cholesterol absorption in the gastrointestinal tract. It also describes the hepatoprotective and anti-inflammatory effect of polyprenols and separately discusses the current understanding of the mechanisms of dyslipidemia and metabolic syndrome development. This review contains background information on the newly developed drugs based on polyprenols and polyprenyl phosphates, which are highly promising in veterinary and human medicine. It is of great interest to a wide range of readers, including chemists, biologists, pharmacologists and physicians.